The Relationship Center specializes in the well being of those affected by the process of adoption. Relationships are the formula for adoption. 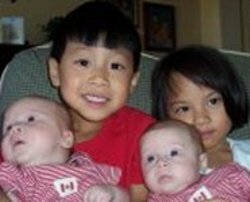 Each member of the extended adoption family or the triad (adoptees, adoptive parents and birth parents) experience adoption related issues throughout the course of a life time. The impact of those issues affect families differently. The extended adoption family adapt, adjust and cope like most "ordinary" families, though at times their uniqueness sets them a part. During those times, guidance through post-adoption therapy is relevant. The Relationship Center fosters this life journey through individual and family therapy. Community education workshops and seminars focusing on various adoptions related issues are scheduled throughout the year. Prior to an adoption in Louisiana, it is required by law that a birth mother and a birth father receive a minimum of two hours of pre-adoption psychotherapy. It is during these sessions that birth parents determine if they are able to cope with the emotional and physical stress of prgnancy, giving birth and relinquishing the infant. At this time, it is important to contemplate and initiated the documentation for post adoption contact agreements with the prospective adoptive parents. Emotions fluctuate once the infant is born. The adoptive parents are excited and hopeful. The birth parents commonly expereince a combination of excitement and guilt. Therapeutic intervention is paramount for all parties at this time. Empowering the birthparents to make the best choice for themselves and the newborn. Empowering the adoptive parents to be patient and supportive of the therapeutic process. Post adoption therapy is beneficial intermitantly throughout the lives of those involved with the adoption process. Th birth parents commonly experience a degrees of sadness, guilt and regret. The feeling of justification for their decision is closely entwined. Adoptive parents are greatful but they too understand the grief of the loss of a child (they were unable to have their own). Adoptees cope with their feelings of separtion from the life of a "typical" child born into a home with the security of parents that have never abandoned/relinquished them. These feelings do not emerge verbally for many years until latency and the pre adolescent /adolescent years whn children begin to ponder themselves and their own self identity. Reunions between birth parents and adoptees from "closed" or "semi-open" adoptions are emotinally charged events. Each party comes to the meeting with preconceived beliefs that are not based in fact but instead from the trauma of a loss. All triad members experience a sense of loss, even if the reason for birth parents or adoptive parents is justified. Having a therapist experienced in the emotional and legal aspects of adoption can resolve, validate and aleviate the mispreceptions that occur within the extended triad membership.